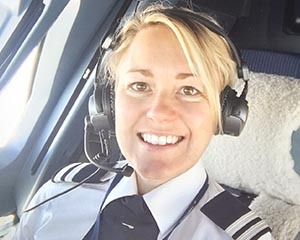 Graduate of our Cadet Programme who has been flying the British Airways Airbus now for four years. 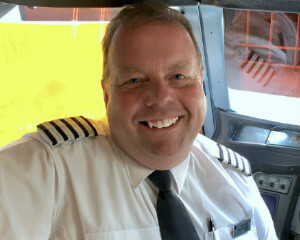 But here I am: a pilot of four years’ standing, flying the British Airways Airbus. The thrill of doing my dream job has not waivered once. 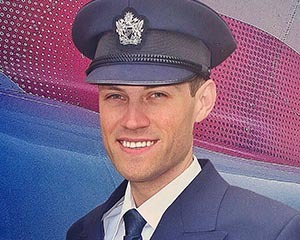 There’s a tremendous sense of pride among all our pilots when we put on the uniform. No two flying days are the same and different challenges make the job what it is. Bad weather, technical issues, a customer taken ill – whatever it is, you work with your Cabin Crew team to ensure a safe outcome. 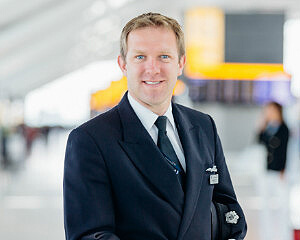 Call me biased, but British Airways is the best place to forge a flying career. Uniquely, we can bid for what we want to work on monthly. This has allowed me to see our long-haul network in detail and I can say when I want to spend more time at home. Then there’s the future – with demand for air travel increasing year on year, we’ll be flying modern aircraft to destinations all over the world. I want to be a part of that.